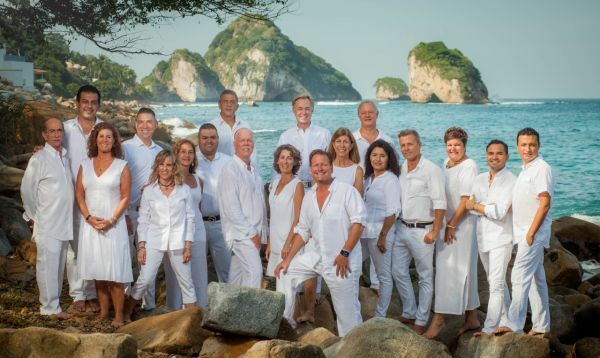 The professional realtors at Timothy Real Estate Group in Puerto Vallarta answer questions about buying real estate in Mexico; real property transfers, bank trusts, etc., for foreign buyers of Mexican real estate. Can a USA or Canadian citizen own real estate in Mexico? Who is involved in a Bank Trust? How much does the Bank Trust cost? Are there additional fees for the Bank Trust? How does the Trust function? What role does a Public Notary play? What are these official documents? If at a later date I decide to sell my property, can anyone buy it? If the buyer is a foreigner, is his interest limited to the balance of my 50-year period? When buying/selling a property in Mexico, who pays closing costs? How much is the transfer tax? How do I pay for a real estate purchase? Is there a difference between an agent and a realtor? A: Yes, laws passed in 1973 and 1993 have made it possible for foreigners, foreign firms, and Mexican firms with foreign participation to acquire interests in coastal real estate through a bank trust. A: Based on the current fees, the bank charges parties opening a Bank Trust the initial fee of approximately $500 USD for establishing the Trust plus they collect the first year's annual fee of about $500 depending on the bank. A: Yes. The bank charges an annual fee to cover its services as a Trustee. This fee is usually between $450 and $600 USD. A: Title of the property is transferred to a trust with a Mexican bank acting as Trustee. The Trust Agreement is formalized by the issuance of a permit from the Mexican Ministry of Foreign Affairs. The property buyer is designated as Beneficiary in the Trust and the beneficiary rights are recorded in the public record by a Notary Public. A: The Trust is a legal substitute for fee simple ownership, but in many cases, the Trustee is the legal holder of the property. As Beneficiary, you have the right to sell your property without restriction. You may also transfer your rights to a third party or pass it on to named heirs. A: Yes. According to the Foreign Investment Law passed in 1993, trusts can be renewed for an indefinite number of successive 50 year periods. In effect they can run in perpetuity if you do not change your trust administration bank at any time. A: Normally there are five players involved in a real estate transaction. These are the real estate company(ies), the seller, the buyer, a bank, and a Public Notary. A: The official documents which are required by law in order to transfer the ownership of property in Mexico include a no-lien certificate based on a complete title search from the Public Property Registry, a statement from the municipality regarding property assessments, water bills, and other pertinent taxes that might be due, and an appraisal of the property for tax purposes. A: Yes. If the buyer is also a foreigner, you can simply assign the beneficial rights to your trust. If the buyer decides to open their own new trust with a bank, they also have that option. If the new buyer is a Mexican National, you can instruct the bank to transfer title to the buyer. Q: If the buyer is a foreigner, is his interest limited to the balance of my 50-year period? A: Yes and No. If a buyer takes over an existing trust they can renew or extend the trust for an additional 50 years after the remaining years expire. For a buyer getting a new trust they will automatically have a 50-year trust. Q: When buying or selling a property in Mexico, who pays the closing costs? A: It is common practice that the buyer pays the transfer of acquisition tax and all other closing costs, including the Notary's fees and expenses, while the seller pays his capital gains tax and the broker's commission. Q: How much is the transfer tax? A: The real estate transfer tax ranges between 2% to 4% of the tax appraisal value, which is generally less than the sales value. A: The rest of the closing costs, excluding the transfer taxes, vary from 3% to 5% of the selling price. A: The buying process takes from 30 to 60 days when using a Bank Trust. The process usually takes a week for Mexican national buyers. Q: How do I pay for a real estate purchase? A: An Escrow service held by a third party on behalf of the buyer and seller manages the money portion of the transaction. Q: Is there a difference between an agent and a realtor? A: Yes, a REALTOR is a professional real estate agent who holds membership in the National Association of Realtors through membership in the Mexican Association of Professional Real Estate Agents (AMPI). A REALTOR is held to a higher standard of ethics and strict codes of conduct and continuing education. Ask for an AMPI agent.